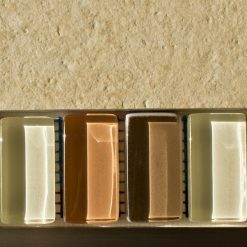 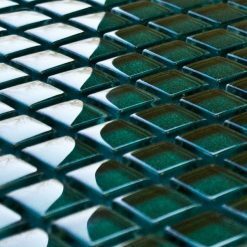 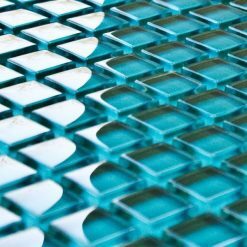 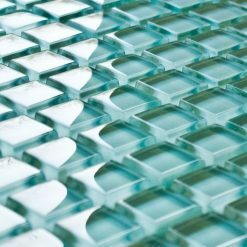 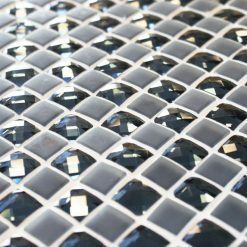 Glass tiles come in many shapes, sizes and finishes. 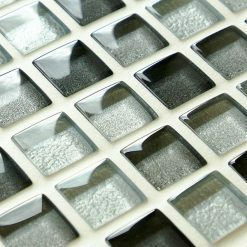 Here at Mosaic Village we specialise in offering a wide variety of glass mosaic tiles to suit all your home style situations. 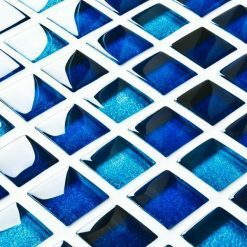 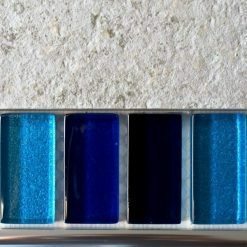 If its bathroom mosaic tiles you are looking for then blues and whites are a great choice, to work with your sanitary ware. 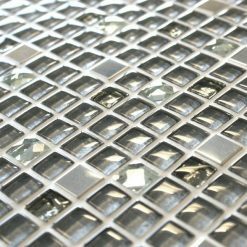 Glass mosaic tiles for the kitchen look fantastic and when complimented with some metal pieces they can mix really well with your appliances and utensils. 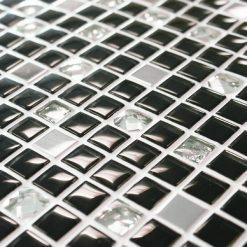 Glass mosaic tiles can be as bold as you dare or subtle and understated giving that finishing touch your surface requires. 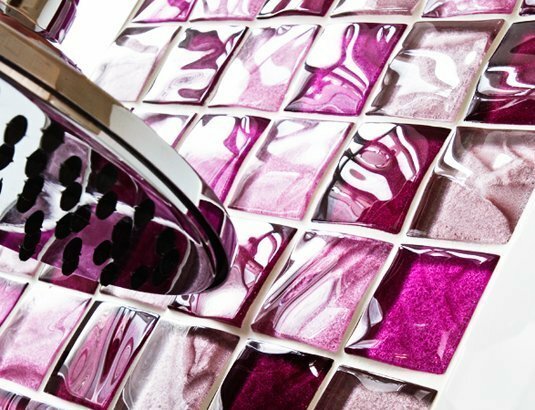 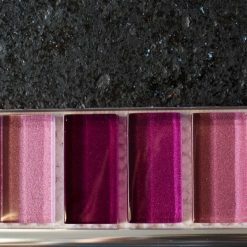 The glass mosaic tile featured is Textured Pinks. 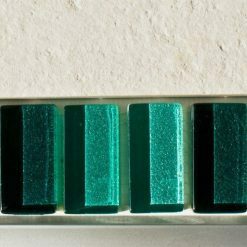 It can be mine field when thinking about mosaic tiles for your home. 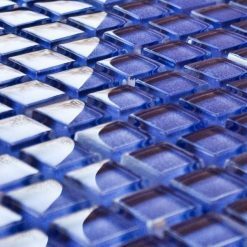 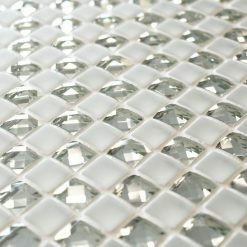 Not everyone can see the bigger picture when deciding what glass mosaic tiles to plump for. 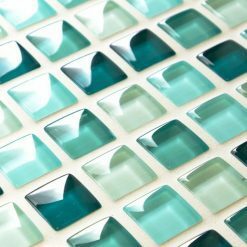 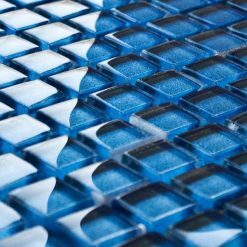 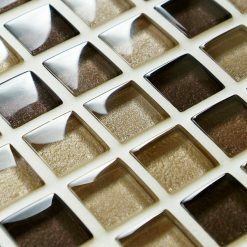 Here at Mosaic Village we try to offer the most unique selection of glass mosaic tiles available in the UK. 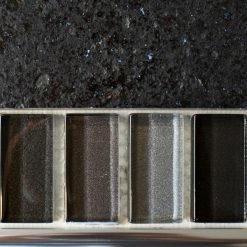 That way we can cater for all manner of styles and tastes. 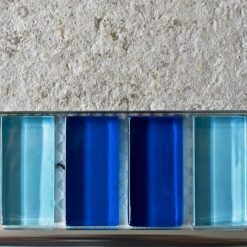 If it's a bathroom you are looking to tile then blue often springs to mind initially, this always contrasts well with average white sanitary wear and chrome finishings. 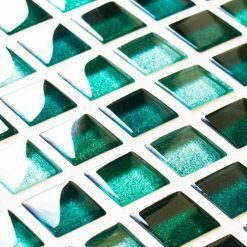 You can hover be more adventurous and add a bit of fun with either some sparkle mosaic tiles or glitter. 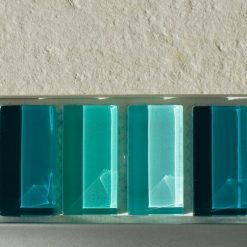 This transforms the bland to the exciting. 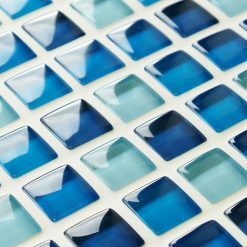 Kitchens follow different trends, and luckily so do glass mosaic tiles. 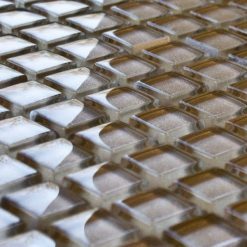 They come in many shapes and sizes and one that is growing in popularity is mosaic brick tiles. 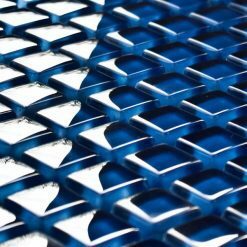 This keeps a traditional design but accompanied in a material such a glass, can produce stunning effects. 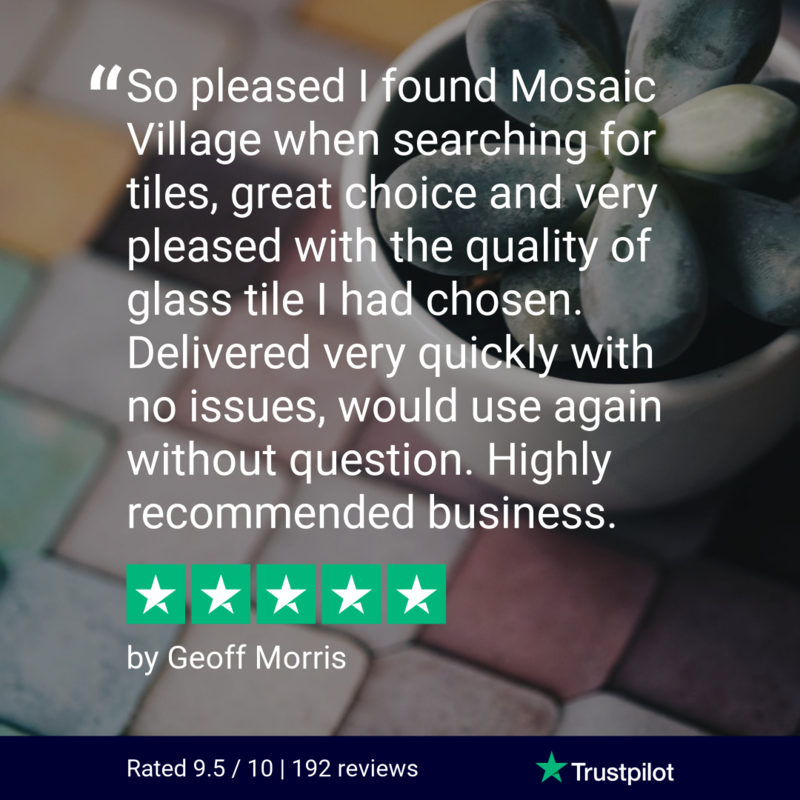 At the end of the day it is always down to personal preference and here at Mosaic Village we are always on hand to give you the advice you need.